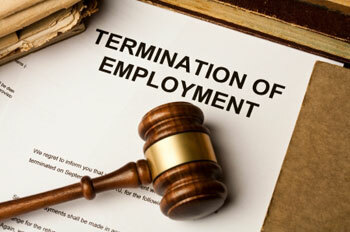 A recent Alberta Court of Queen’s Bench case, Nutting v Franklin Templeton Investments Corp, 2016 ABQB 669, considered not whether a termination clause violated employment standards, but whether the language of the termination clause actually ousted the presumption of reasonable notice. Additionally, your employment may be terminated at any time without cause upon the provision by FTIC of the minimum notice of termination, or pay in lieu of notice, benefits and, if applicable, severance pay prescribed by applicable employment standards legislation in the province in which you are employed. The provision of such notice or pay in lieu of notice, benefits and severance pay constitutes full and final satisfaction of all rights or entitlements which you may have arising from or related to the termination of your employment (including notice, pay in lieu of notice, severance pay, etc. ), whether pursuant to contract, common law, statute or otherwise. At trial, the employee argued that the termination clause failed to explicitly oust his entitlement to common law reasonable notice because it was unclear whether the language left open the ability to pursue more than the period of notice prescribed by Alberta’s Employment Standards Code, 2000. In other words, the employee put forth that the content of the termination clause did not actually confine him to some expressed maximum amount of notice. …Should you be terminated for reasons other [than] cause then you will be entitled to notice or severance pay thereof in accordance with the Employment Standards Act of Alberta. While counsel for the plaintiff submits that a termination clause simply stating that an employee is entitled to compensation in accordance with the legislation does not restrict the employee to the minimum notice period provided, that submission is based on Kosowan v Concept Electric Ltd, 2007 ABCA 85. The factual difference in that case is that the termination clause did not provide that the employee was to receive the “minimum” notice period as was provided for in the contract in this case. In this case the termination clause did specify that the minimum legislated notice was contemplated. Thus, in the result, the Nutting court held that the termination clause clearly limited the employee to notice as prescribed by the Employment Standards Code, 2000, since it stated that he was entitled to “minimum” notice as “prescribed by applicable employment standards legislation”, rather just “notice” as “prescribed by employment standards legislation” (without the word “minimum”). When drafting a termination clause to limit an employee to notice “according to” or “as prescribed by” employment standards, do include the word “minimum” in the same passage. At the same time, always be sure to state that such notice displaces the right to “common law” reasonable notice.